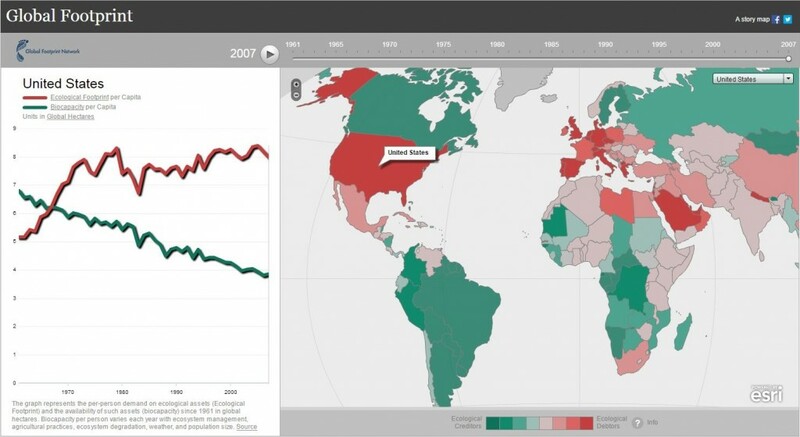 At Esri, we believe that geography is at the heart of a more resilient and sustainable future. Governments, industry leaders, academics, and nongovernmental organizations (NGOs) trust us to connect them with the analytic knowledge they need to make these critical decisions that shape the planet. Our technology enables organizations to create responsible and sustainable solutions to problems at local and global scales. 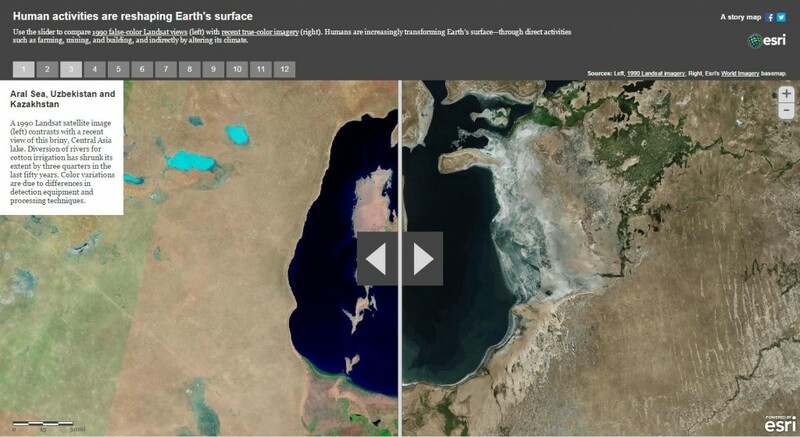 In honor of Earth Day, we invite you to take a few minutes to explore these five compelling interactive maps created using Esri’s story maps technology that detail how our planet is changing. 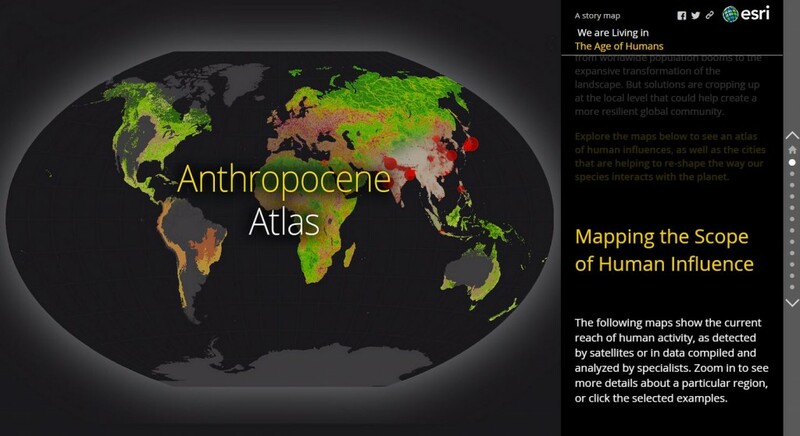 This atlas shows human influences on how Earth is changing, as well as cities helping reshape the way our species interacts with the planet. 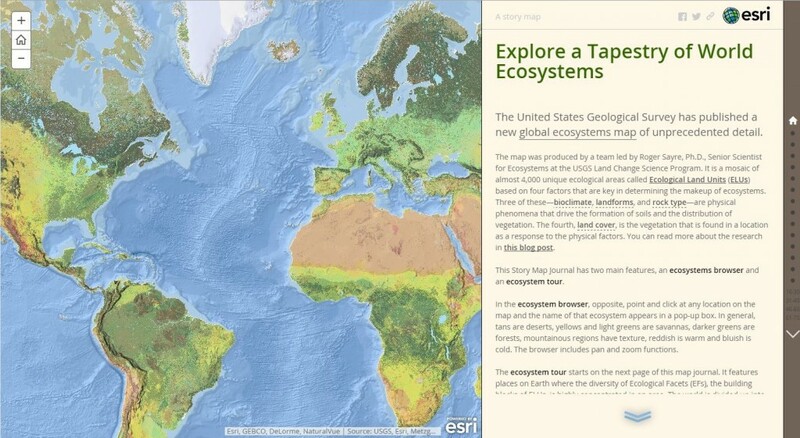 This story map lets you explore the global ecosystems map of unprecedented detail published by the USGS. 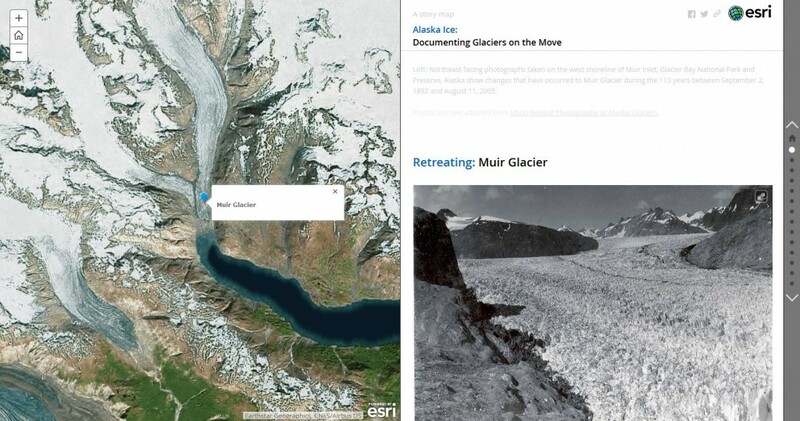 This story map shows a comparison of historical and modern photographs to study the effects of a changing climate on glaciers and landscapes. This story map lets you see how humans are transforming Earth’s surface around the world through farming, mining, building, and altering its climate. This story map from the Global Footprint Network shows a global comparison of each nation’s biocapacity versus its ecological footprint. Special thanks to Leslie Roundy of Esri for compiling this list of five compelling story maps for Earth Day.